The rules are: share seven things about yourself and then nominate seven other bloggers. 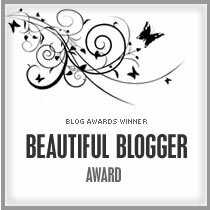 I only chose five blogs as I recently nominated a bunch of great blogs for The Versatile Blogger Award a couple of posts ago. Now I’m all blogged out! I like to travel. Countries visited so far: India, France, Spain, Italy, Greece, Turkey, England, Scotland, Wales, Ireland (yep, I am counting them all as separate countries), Fiji, South Korea, China and Japan. Places I want to go someday: Nepal, New York, Alaska, Canada, Russia, Mongolia, Patagonia region of South America and Amazon, Namibia, Egypt, Morocco, Thailand, Vietnam, Cambodia (better start saving). I love karaoke. I can’t sing well, but I like to try! I like watching cooking shows on TV even though I don’t like cooking. I can’t listen to Gotye’s song ‘Somebody That I Used to Know’ because it reminds me of somebody that I used to know. Look here for some other things I said about myself. They were much more interesting. Next Article Books to Get Excited About!! Thank you, dear. And congratulations! I really want to go to Turkey, not sure why. And I love karaoke too! !